There are eight pangolin species worldwide. Four of the species can be found in 17 range states across Asia, and four in 31 range states across Africa. 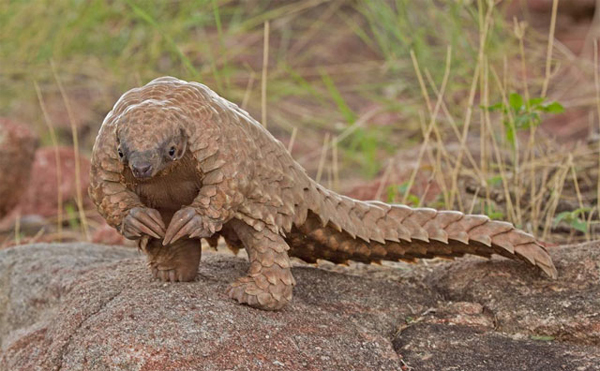 Pangolins occupy a diverse array of habitats; some are arboreal or semiarboreal and climb with the aid of prehensile tails, while others are ground-dwelling. Some pangolin species sleep in underground burrows during the day, and others are known to sleep in trees. Pangolins dig burrows with their strong front legs and claws, using their tails and rear legs for support and balance. Pangolins are insectivores. They use their claws to break into nests of ants and termites, and they use their long, sticky tongues to lap up the insects. A juvenile pangolin will remain with its mother for three to four months and cling to its mother’s tail as she forages for insects. 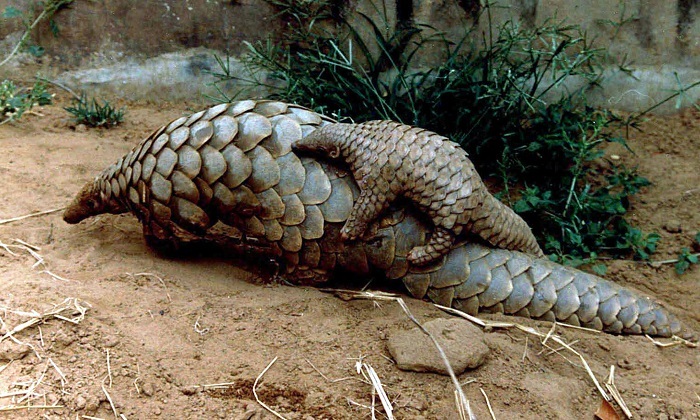 Pangolins have few defenses beyond their scaly exterior. While their habit of rolling up in a ball is an effective response to predators, the behavior actually makes it easier for poachers to collect and transport these toothless mammals. Despite protections under CITES and domestic laws, poaching and illegal trade in pangolins continue at a high rate. Recent IUCN Red List of Threatened Species assessments indicate that all eight species are declining and at risk of extinction. One species of pangolin, the Temminck’s ground pangolin, is also listed as Endangered under the U.S. Endangered Species Act (ESA). 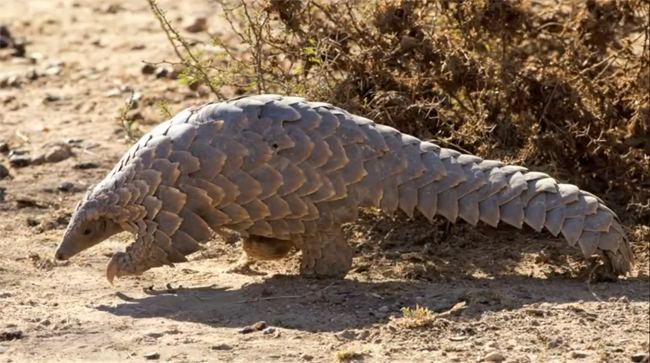 Experts estimate that more than one million pangolins have been traded illegally in the past decade, making them one of the most trafficked mammals worldwide. 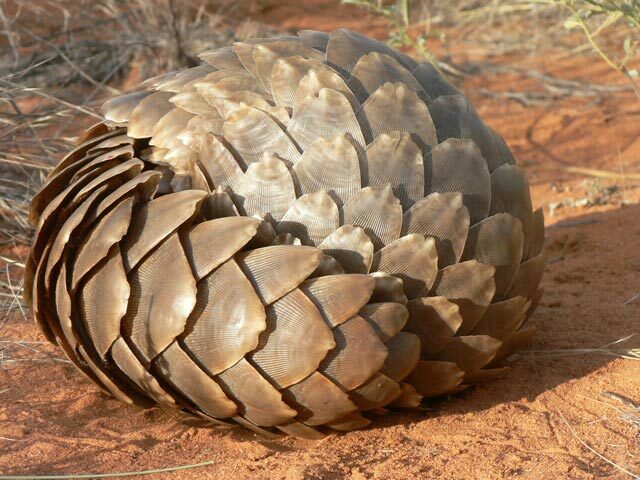 At the 65th meeting of the CITES Standing Committee in July 2014, the CITES Secretariat stated, “illegal trade in pangolin specimens is escalating at an alarming rate” (SC65 Doc. 27), and gave a number of examples of seizures of large pangolin shipments including 10 tons of frozen pangolins on a Chinese fishing vessel that ran aground while returning to China from Malaysia. 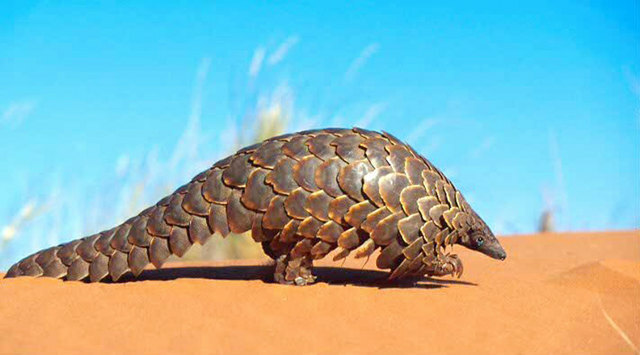 Pangolins in general do not thrive in captivity, and their slow reproductive rate and low natural population density in the wild suggest that current trade levels are unsustainable. As Asian pangolin populations have become increasingly hard to find and are now subject to zero export quotas by CITES, traders have turned to the African pangolin species to meet market demand. Meanwhile, African species are under additional pressure from local and regional demand for bushmeat and other traditional uses, as well as from habitat loss. While live and whole dead specimens usually can be identified to the species level based on size, number of scales, and other morphological characteristics, commonly traded non-living specimens, such as scales and meat, are difficult for non-experts to identify to the species level, which complicates enforcement. First Pangolin Range States Meeting Co-hosted by Vietnam, the United States, and Humane Society International, June 24-26, 2015. 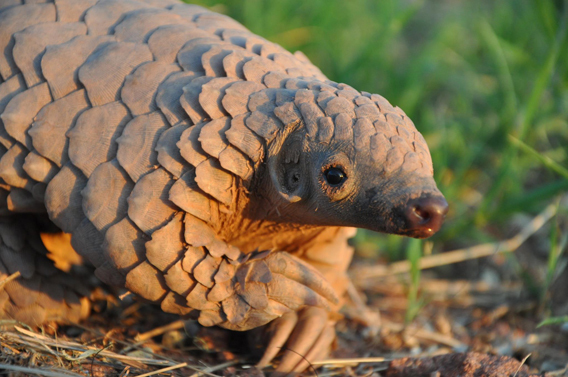 Delegates from African and Asian pangolin range countries joined together for the first time to develop a unified conservation action plan to protect pangolins at the First Pangolin Range States Meeting. The governments of Vietnam and the United States co-hosted the meeting, which was organized and facilitated by Humane Society International. 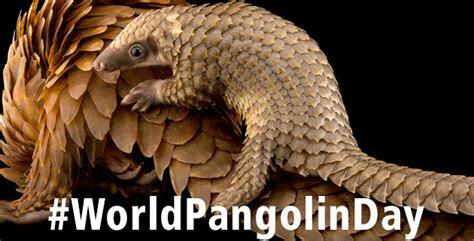 Pangolins live in 48 countries: 17 Asian countries: Bangladesh, Bhutan, Brunei Darussalam, Cambodia, China, India, Indonesia, Laos, Malaysia, Myanmar, Nepal, Pakistan, Philippines, Singapore, Sri Lanka, Thailand, Vietnam. 31 African countries: Angola, Benin, Botswana, Cameroon, Central African Republic, Chad, Congo, Côte d’Ivoire, Democratic Republic of the Congo, Equatorial Guinea, Gabon, Ghana, Guinea, Guinea-Bissau, Kenya, Liberia, Malawi, Mozambique, Namibia, Nigeria, Senegal, Sierra Leone, Rwanda, South Africa, South Sudan, Swaziland, Tanzania, Togo, Uganda, Zambia, Zimbabwe.